A lot of people use Selenium WebDriver to write their UI automation. But the specific implementation language and coding patterns will differ between organisations. Even within the same organisation, a set of front-end tests can look different between different products. Katrina will share three different approaches to Java-based UI automation using Selenium WebDriver from her organisation. She will explain the implementation patterns, the reasons that differences exist between repositories, and the benefits and drawbacks of each approach. Participants will download three different suites that each implement a simple test against the same web application. Once they have a high-level understanding of each code base, they will have the opportunity to execute and extend the test suite with targeted hands-on exercises. In this post I share the code and resources that I'll be using in this workshop. Though you won't get the same level of support or depth of understanding as a workshop participant, I hope you will find something of interest. These three automated suites are written against a tool provided by the New Zealand tax department -the IRD PAYE and Kiwisaver deductions calculator. Each suite contains a single test that enters the details for a test employee and confirms that PAYE is calculated correctly. Each suite is reflective of a framework that we use for test automation in my organisation: Pirate, AAS, or WWW. These public versions do not contain any proprietary code; they've been developed as a training tool to provide a safe place for testers to experiment. Each training suite was created almost a year ago, which means they're showing their age. They still run with Selenium 2 against Firefox 45. We're in the process of upgrading our real automation to Selenium 3, and switching to Chrome, but these training suites haven't been touched yet. You can download the three suites from GitHub. If you haven't used GitHub before, you may need to create an account in order to clone the three repositories. The beauty of these training frameworks is that it is easy to compare the three implementations. If you are familiar with the way that one works, you can easily map your understanding to learn the others. There are different types of assertions in the tests. Pirate assertions are created by an automated assertion generator, in AAS the English language concordion specification holds the assertions, and WWW make use of simple JUnit asserts. The navigation through the application varies too. Pirate passes page objects, AAS implements fetch methods, and WWW simply use the Selenide open method. These differences are apparent when reading through the code, but to really understand them you are best to get hands-on. As a starting point, try adding to the existing test so that a 3% employee KiwiSaver deduction is selected, then make sure that deduction is reported correctly in the summary. I don't claim that any of these frameworks are a best practice for UI automation. 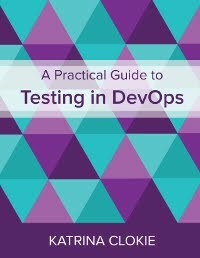 However, they represent a real approach to tests that are regularly executed in continuous integration pipelines in a large organisation. I wish that more people were able to share this level of detail. I find the similarities and differences, and the rationale for each, to be fascinating. Given the variety within our team, it makes me wonder about the variety worldwide. There are so many different ways to tackle the same problem. This is a whistle-stop tour of a three hour workshop. I hope to see some of you at Let's Test to have the opportunity to explain in person! If you cannot attend and have questions, or suggestions for improvements in our approach, please leave a comment below or ask via Twitter.